Situated in a central position in the West End of London's W1 region are these outstanding serviced offices for rent. 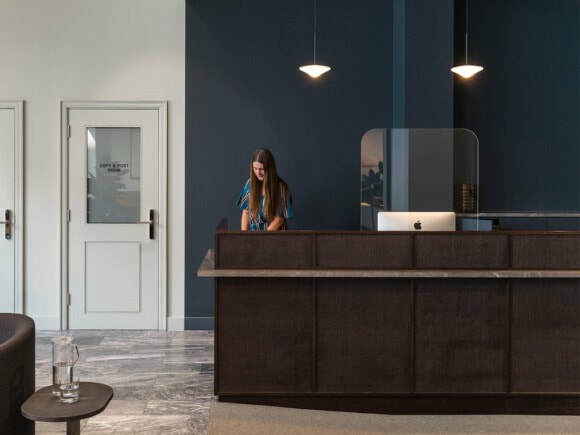 The business centre which is just one of a number of locations in the capital bears the hallmark of this office provider's splendid interior design which is modern and pleasingly relaxed. Boasting a selection of conference, meeting and board rooms, these offices to let retains many of its original period features and has a up-to-date IT and telephony infrastructure in place. Showering facilities are also on-site and security systems such as CCTV are in place. Transport for this office space rental is good with Bond Street and Oxford Circus not that far away.